Converted to Christ at sixteen, Amy Carmichael worked in street missions for several years before serving as a missionary in Japan and India. This is the story of her significant and remarkable work. 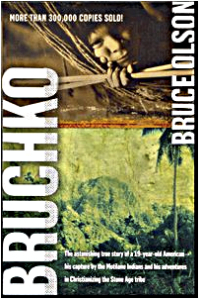 What happens when a nineteen - year - old boy leaves home and heads into the jungles to evangelize a murderous tribe of South American Indians? For Bruce Olson, it meant capture, disease, terror, loneliness, and torture. But what he discovered . . .
George Mueller was rebellious and totally absorbed in the world and its pleasures until God miraculously transformed him by the power of Christ. He dared to dream a dream and to trust God to bring it to pass. Nothing is impossible with God! Witness the way God empowered Gladys Aylward to overcome tremendous obstacles in order to fulfill His plan for her life. This faithful servant based her entire life on trusting God's promise. . .
From his early life in England, through the founding of the China Inland Mission, to reaching millions of pagan Chinese, Hudson Taylor's life of faith gives glorious testimony to God. Ahn Ei Sook was imprisoned and tortured for many years because she refused to bow to pagan Japanese shrines. The remarkable true story of a woman's faith and the love that melted the hardest of hearts. Unwanted from birth and abused throughout her childhood, Glenda was desperate for love and a sense of belonging. Her only respite from her home life was school and the welcoming shade of a willow tree, under which she would lie and dream. . . This collection of true stories gives a glimpse into the miraculous and breath-taking details of redemption and deliverance from around the world.